Hunting isn't easy. It requires a lot of commitment, time & money. One could even joke that hunting is a full contact sport because of all of the scratches, bruises, and bites we endure from nature, our own equipment, bugs & even the weather in the form of frostBITE. You do your homework, prepare your gear, put up the stand, and if you're lucky...just lucky, maybe tag a deer. 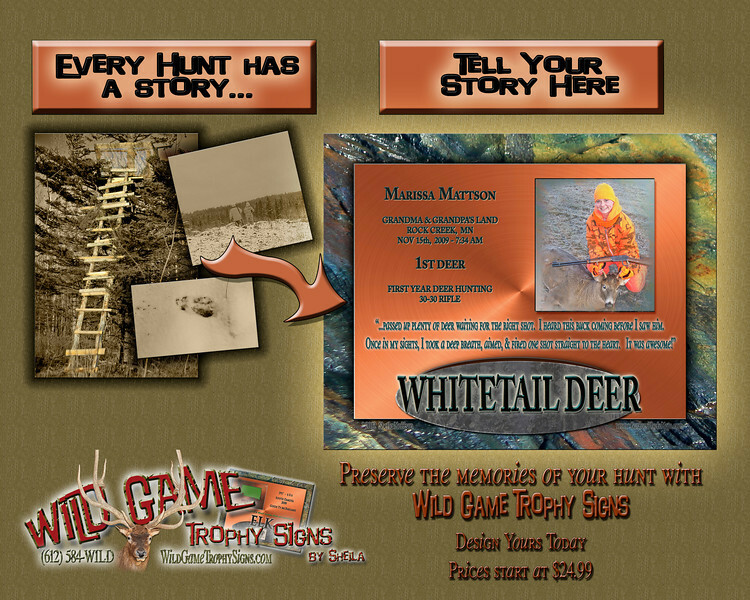 Whether you mount an animal or not, you can still share your story with a Wild Game Trophy Sign. Send us your HERO SHOT and share the details of your hunt to make a one-of-a-kind Wild Game Trophy Sign. 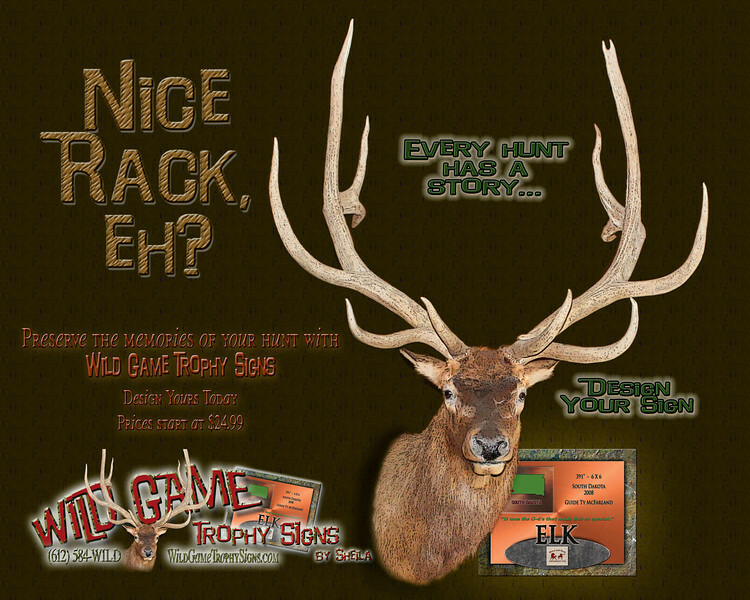 At Wild Game Trophy Signs, we make attractive, affordable, one-of-a-kind signs to capture the details and experiences of your most memorable hunts and adventures. Signs come in a variety of designs & materials to match your style & budget. Prices start as low as $24.99! You've already experienced some amazing and memorable hunts. Don't let those memories fade with time. Let our signs recapture the hunting details for you to relive and share with your family, friends and neighbors. You provide us with the details, and if you want, a “hero shot” of you and your game. We'll provide you with an attractive, standalone sign that can be displayed in your Office, Den, Family Room, Trophy Room...where-ever you'd like.